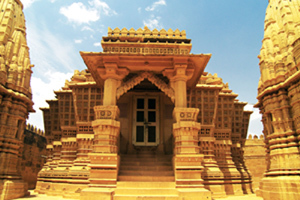 Jaisalmer is located 660 kilometers southwest of Delhi, and quite close to the Pakistani border. It is surrounded entirely by sand and dune areas of the Great Indian Desert of Thar. It presents a very dry and warm climate, being especially torrid in the months of May and June. In the political sphere, it is the capital of the district of Jaisalmer, in the state of Rajasthan, one of the twenty-eight states that make up the Indian Union. Another bloom in the desert - Jaisalmer is 287 km from Jodhpur and not very far from the border of Pakistan. 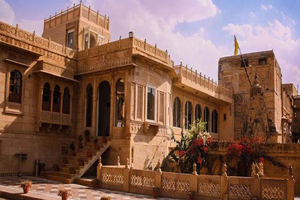 "Oasis of Jaisal" to the travellers on the caravan routes from West Asia, the "Citadel City" to others, Jaisalmer is on the Trikuta mountain of epic antiquity. Jaisalmer owes its name to its founder, Rawal JaisaI Singh (12th century). It can be reached by road from Pokharan (112 km) or Barmer (157 km) railway stations, on the Northern Railways. The distance from Jodhpur is 287 km. 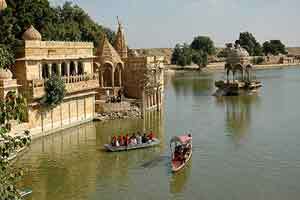 Jaisalmer is considered one of the most popular tourist destinations in Rajasthan. 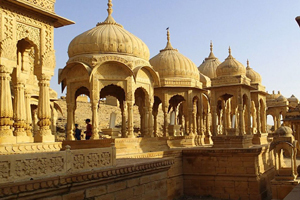 Surrounded by a huge and powerful desert, Jaisalmer holds great historical importance because this is the place where the Rajput clans have spent their best moments. The meaningful literal of Jaisalmer is' the hill fort of Jaisal. 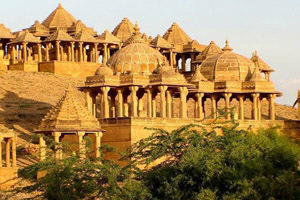 'It was founded in 1156 AD by Raja Rawal Jaisal, a Bhatti Rajput. As the legend goes, Prince Jaisal, looking for a suitable site for his proposed capital, met a hermit on the hill. When his advice was sought, the hermit smiled and said, “Be sure, this is the site - once visited by Lord Krishna himself. It had been prophesied that a scion of his dynasty would one day set up his citadel here." Prince Jaisal, indeed, hailed from the Yadava dynasty of Krishna. He lost no time in building the citadel. 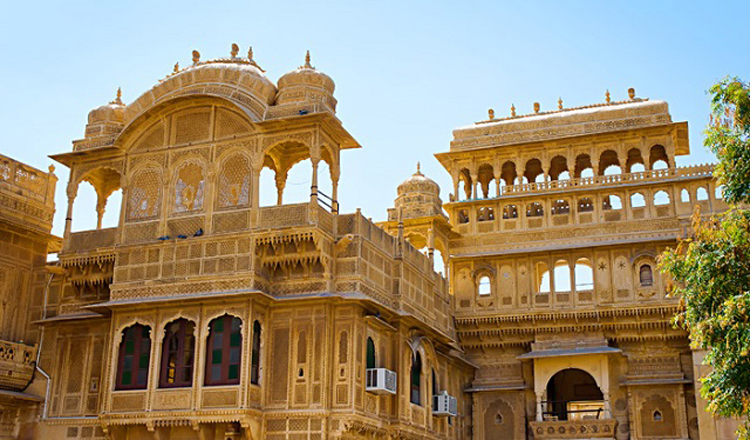 The city of Jaisalmer resembles a city of Arab tales. 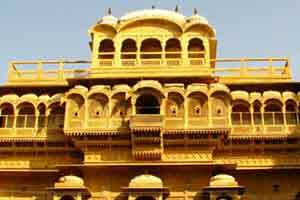 Jaisalmer has lot more to offer to the tourists. A visitor can explore various historical monuments like the castle, spacious havelis (mansions), calm lake, ancient temples and historical museums. 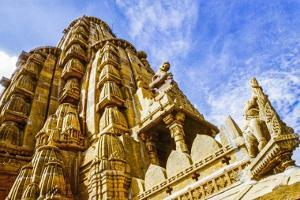 Almost all the buildings here are carved with yellow sandstone, so, Jaisalmer is designated as the Golden City. 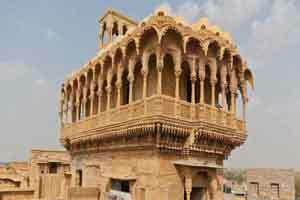 Jaisalmer has three unique features that make it different from other tourist destinations of Rajasthan. One is the ocher color of the stone with which are built the most important buildings: the fort, temples and palaces, here called havelis. Along with the sand of the surrounding dunes, also yellow, these have contributed to promote the name of "Golden City" for Jaisalmer. The second feature is the same desert, which meant isolation and a clear barrier to other areas of Rajasthan, marking a history of its own, so much that in the past there existed the state of Jaisalmer. The last of the differences is the architectural splendor with the decorative profusion of the havelis and temples of this city-fortress. The history of the city has been convulsed, having gone through moments of great suffering for its inhabitants. One hundred and thirty years after the construction of the fort, the Khilji of Delhi encircled the fortress. The resistance was heroic, enduring seven years until succumbing in 1293 AD. When the Khilji entered the city to plunder it, they found no one alive, because the inhabitants had committed a collective suicide. The Bhatti, a clan originally from Punjab and who had migrated south in the eleventh century, were majority in Jaisalmer. A Bhatti Rajput ancient practice was the jauhar . This custom consisted of self-immolation, with which it was wanted to avoid the dishonor of being captured by the enemy. There were no survivors in the city, but from the surrounding region, these people migrated to the Punjab and Sind of what is now Pakistan, founding the Bhutto clan there. The collective death of the inhabitants of Jaisalmer, following the rite of Jauhar was repeated in the middle of the fourteenth century. It was then to end the siege to which the Sultan of Delhi Firuz-Shah Tughluq, a fierce persecutor of Hinduism and faithful follower of Muslim orthodoxy, submitted. The state of Jaisalmer, in the form of principality, continued throughout the centuries until at the end of the year 1818 happened to be a British protectorate. In this period, the city had moments of great brilliance, mainly due to the fact that it had become a necessary step for the camel caravans in the commercial route that united India with Persia, Arabia, Egypt and the routes that took towards Africa. The end of Jaisalmer as state was in 1949, when becoming part of Rajasthan. 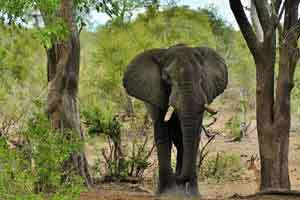 At present, the main commercial activity revolves around tourism. 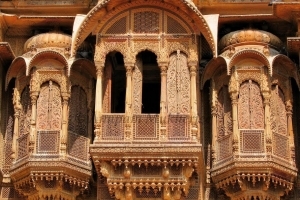 The best season to visit the Jaisalmer is during the winters. You can plan your trip between the months of October and March. 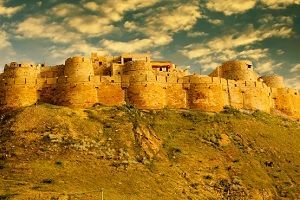 The trip to Jaisalmer can be arranged with other Rajasthan destinations such as Jodhpur, Jaipur, Udaipur, Bikaner, Agra etc. Our travel adviser will help you plan your route to travel to Rajasthan.